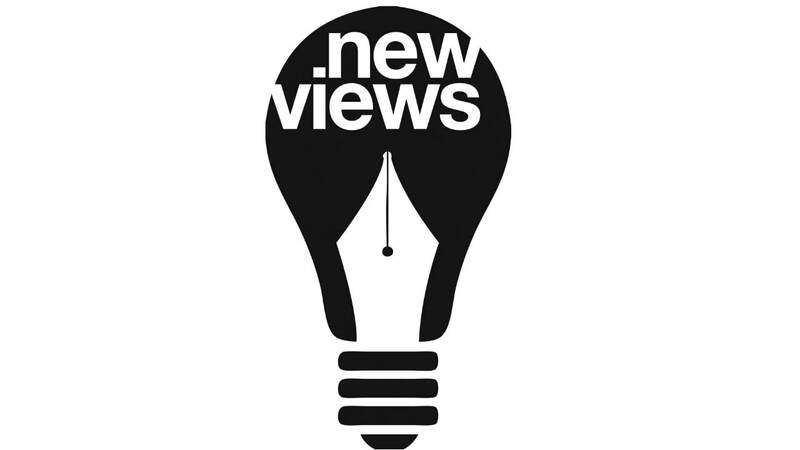 New Views is the National Theatre's annual playwriting competition for 14-19 year olds. Students in schools and colleges around the UK have the opportunity to take part in online writing course, visits to productions at the NT, and workshops with professional playwrights. Their ultimate aim is to write their own 30 minute plays. This competition is a fantastic opportunity for young people to explore their own passions and express them in playwriting, under the guidance of professional playwrights. This year there were over 300 plays submitted by 74 schools, 101 longlisted plays, 10 shortlisted plays and one final winner: If We Were Older by 18-year-old Alice Schofield. If We Were Older tells the two stories of two women, who meet on the tube and whose lives could not be more different, with eighteen-year-old Daisy being cheerful, courageous and hopeful for the future, and Maggie, a woman in her seventies, full of regrets. However, their shared love for women and their experiences, both painful and joyful, despite being decades apart in age, ties them together. This beautifully written play explores the views and attitudes of society toward the LGBTQ+ society, showing how, although times have changed and people are more free to choose who they like, some people still struggle with fitting in and conforming with what they feel is the norms of society. Maggie faces difficulty in her youth, as a young, lesbian woman trying to conform in a harsh, criticising society, where girls must kiss boys and only boys. Daisy, although living in modern day, faces the struggles of finding love, without being mocked. ​Schofield cleverly connects the experiences of the two women by interlinking their speech: for example, Daisy would speak one line professing her feelings and Maggie would join in for the last few words and carry on speaking. By using this style, Schofield emphasizes how the two women’s situations and experiences are similar, despite them being decades apart in age, and thus showing how love can be the same for everyone, regardless of age and gender. However, there are places in the script where Schofield uses the same word in Daisy’s speech for Maggie to pick up, only to describe a different situation, which is equally effective in portraying the changes in society’s attitudes toward the LGBTQ+ society over time; for example, Daisy would speak about her love for her girlfriend, but Maggie would take one of her words and twist it so that it describes her agony in not being able to find love, due to parental pressures and society’s expectations. Schofield encapsulates the warmth, joy, confusion and craziness that come with being in love in her passionate and beautiful metaphors, which are quirky and memorable. Her writing style seems genuine and real, which helps the audience of all ages connect with the characters more. The play is on an in-the-round stage, with the audience very close to the action, which allows for the actresses to use up all the space, dancing to The Beach Boys and running around, having fun. During scene transitions, the actresses would sit down in seats next to audience members, which provides an intimate connection between the audience and the characters, as it creates the feeling that the audience is part of the society in which the characters live. The set consists of four benches suspended in the air, which is used to portray the tube carriage in which the two women meet. Overall, If We Were Older is a beautifully written play, portraying the joy and excitement of being in love in a sweet and comforting way, as well as discussing the struggles that some may face in being accepted in society as part of the LGBTQ+ community, which is still a prevalent issue in today’s society. It is so refreshing to watch a brilliantly crafted play by a young playwright, who delves deeply into the emotions of each character and explores important topics to today’s society by expressing her views through her writing. I am sure we will be seeing many new and exciting pieces by Alice Schofield in the future!